The DFB Pokal is always a welcome change for the clubs, especially if they are still in the cup competition. This season’s round of 16 will be held in the spring. With 16 remaining teams, it is almost inevitable that even teams from the lower classes are included. Among other things, the leader of the second division, the Hamburger SV, try to move into the round of the last eight teams. But on Tuesday it requires a victory over the Bundesliga 1. FC Nuremberg. If we place the tables of the first and second Bundesliga among themselves, then the HSV is only two places behind the club. With their own fans in the back, it could well be that in the game between HSV and Nuremberg, the first prediction is towards a success of the home side. From an underdog we may not speak in this match, because currently the experts would probably rather tend to look at the HSV as a Bundesliga side and the FCN rather in the second league. It could look like this again at least in the upcoming season. Currently, Hamburg is at least as far as the league affiliation, the slight outsider, even if in the game between HSV and Nuremberg, the odds speak more for a home win. Both teams moved into the last 16 with wins over underclass clubs. The HSV prevailed against Erndtebrück and contractions Wiesbaden. The Franks had big problems to progress against Linx and Hansa Rostock. Now waving already the quarterfinals. For the Hanseatic League, it is again a little Bundesliga flair that blows through the Volkspark. In a possible quarterfinal then the really thick fish could wait, assuming a victory against the club. Yes, HSV is the leader of the second Bundesliga. However, the Hamburg occur too rarely this season as a top team. Many victories were decided only by the individual quality of Aaron Hunt, Pierre-Michel Lasogga or Lewis Holtby. If some of these players are not available to the Hanseatic League, then things will become even tighter. Nevertheless, you can be very satisfied in Hamburg with the yield so far. Statistically, Hamburg will be 95 percent in the coming season again in the Bundesliga to be found. That does not mean that the last 14 games are likely to be easy. Against Nuremberg in the DFB Cup on Tuesday a little change is announced. It will be important to gain some momentum, as in the last three competitive games the Hamburger conceded two bankruptcies. At home there was no defeat in the last six games. 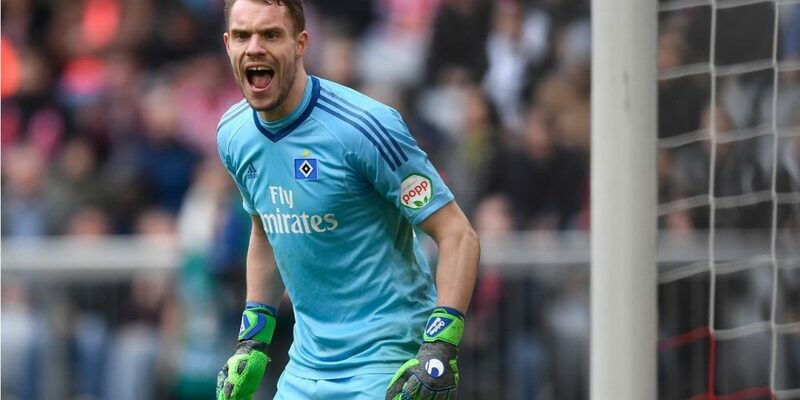 The Rothosen want to build on this balance on Tuesday and perhaps could therefore be in the match between HSV and Nuremberg a tip for a home win an option. Among other things, it will be important to get their heads free again after the defeat in Bielefeld. An early red card for Gotoku Sakai, a 0: 1, which could well have also whistled and the failure of some key players led in the end to a 0-2, the HSV now has before the cup match in the luggage. The bottom line was that it might just be a used day that should not be repeated against the club, because Hannes Wolf has a lot going for the DFB Pokal. Of course, he wants to reach the quarter-finals with his team and suspects that this does not have to be the end of the flagpole. With a little luck, more could be possible. A victory against the club should be hard enough. The long-term injured Jairo Samperio and Kyriakos Papadopoulos will certainly not be there. Aaron Hunt and Hee-Chan Hwang fail with muscle fiber tears. Pierre-Michel Lasogga and Berkay Özcan are also still on the verge. Slowly the Hamburgers go out of the staff. Actually, one must be surprised that the people in charge at the Valznerweiher have not already broken into busy hustle and bustle and apparently Michael Köllner is not yet up for grabs. After all, the club is once again in acute descent. However missing to the relegation place only three points. Until the rescue of the bank, however, the FCN would have to catch up six counters. For nine games, the Nuremberg are now without victory. Nevertheless, the francs are reasonably quiet. But now follows the week of truth with the cup match in Hamburg and the following basement duel in the Bundesliga at Hannover 96th Now the team must deliver, otherwise we would give before the duel between HSV and Nuremberg no prediction that Michael Köllner still long stays at the club. Overall, there have been at least some positive aspects in the last two games. In Mainz and Werder Bremen, the 1. FC Nuremberg saw at least on equal terms and could have fetched more luck with more than one point. After all, the morale last against Werder Bremen was very good. The Bremen went on Saturday after just over an hour 1-0 in the lead, but Nuremberg had the absolute will to keep at least one point at home. Five minutes before the end, it was Mikael Ishak who scored with a remarkable goal the 1-1 final score. Maybe he has secured a place in the starting eleven against HSV. The question is whether Hamburg or Hannover has priority. Michael Köllner makes it clear that he really wants to win in the cup. Overall, no big rotation is expected for the weekend. The ex-Hamburger Christian Mathenia is as battered as the defenders Tim Leibold and Ewerton. For these three players, an assignment will only be decided at short notice. Maybe there is also the mentioned change in the attack. Certainly not included are Robert Bauer, Dennis Lippert and Edgar Salli. Maybe Ivo Ilicevic, another former Hamburg player, could make his comeback in German football, if only from the bank. 77 matches have been delivered to HSV and 1. FC Nürnberg so far. In direct comparison, the Hamburg are with 37:22 victories but relatively clear front. So far both clubs met twice in the DFB Pokal. Both cup games could decide the franc at home, including in 1982 in the semifinals. The last meeting was in March 2014, at that time still in a league game in the Bundesliga. The HSV won at home with 2: 1. Hakan Calhanoglu and Mike Frantz by own goal brought Hamburg 2-0 up front. Josip Drmic was only able to score the club goal in the closing stages. As the leader of the second Bundesliga you should have the momentum in a duel against a relegation candidate from the House of Lords on his side, one might say. However, the Hamburgers did not convince. In addition, some top performers will be missing in this cup match, without which only half of the HSV seems to be worth. As a result, we would tend to tempt the guests in the game between HSV and Nürnberg, at least as far as the quarter-finals are concerned, because the Franks have not won in nine games, but have recently shown clearly rising tendencies. The HSV has been unbeaten at home for six competitive matches. 1. FC Nuremberg has been waiting for nine games for a win. The two previous DFB Cup matches between these two opponents won the club. We can imagine that there will not be a winner in the regular season, because the Hanseatic League has not lost in the last six home games. But we still think that HSV without Hunt, Hwang, Jung and maybe Lasogga does not have good cards. We therefore assume that the club in the third cup match against the Hamburger brings the victory. The bottom line would be in the game between HSV and Nuremberg, the odds for the tip to get used to a progress of clubbers. For the quarterfinal of 1. FC Nuremberg betting odds of up to 2.38 are offered.